I don’t hide the fact that I’m a Rasta Man wanna-be, so when I can combine cycling with my love for that culture….it’s a total Win-Win. A few weeks ago I came across a company called Knights of Mo’ Bay that sells jerseys, shorts, and bibs with a sweet IRIE Caribbean theme so I just had to hit them up. The company is owned by Royston Taylor who’s originally from Jamaica but now lives in California. The themes of his cycling clothing reflect his life and have a focus on Caribbean Reggae and culture. 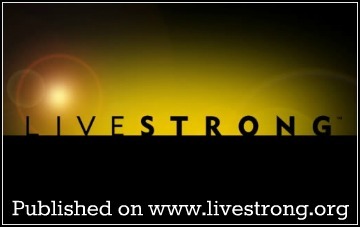 His designs are manufactured by Primal Wear, a Denver based company that makes cycling apparel. Even if you’re not a Caribbean lover like I am, I think you’ll like the simple design of the Irie line of jerseys and the island flavor of the other designs they have to offer. If you didn’t already know, Irie is a Caribbean term used to describe when you are at total peace with your current state of being. It’s the way you feel when you have no worries. A perfect fit for the state you’re in while out cycling, right? Another thing to point out is the use of Reds, Golds, and Greens in the designs…..the colors of the Rasta culture. Anyway, I immediately contacted Royston when I saw his designs and told him I needed to have one. He kindly sent one over for me to check out and now we’re offering one to you as well. These are quality 3/4 zip jerseys that fit nice and look cool. 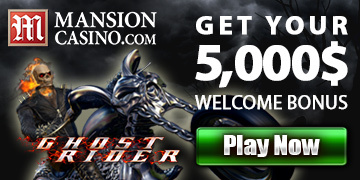 See below for your chance to win one, or head over to www.knightsofmobay.com to do some shopping. The contest is now closed. Congratulations to @sthig who wins a sweet Knights of Mo’Bay jersey. Now he can be a Rasta Man wannabe like me. Enter to win a Knights of Mo’ Bay jersey by leaving a comment below with how cycling makes you feel IRIE and why you’d like to have one of these to add to your collection. Contest closes Noon Monday, May 28th. The term IRIE is new to me, but the feeling is not. When our group goes out for a ride, I use the time as an opportunity to leave the worries of life behind. There is no office, no bills, no worries. We are a group of people enjoying companionship in the great outdoors, soaring through the countryside. Nature encourages our travel, offering the trills of the red wing blackbird, or the soaring hawk flying with us as we traverse the back country roads, at one with the universe. Feeling irie means having no worries to me. I would like a nice bright jersey as all of mine now are quite dark and boring. Commuting by bicycle Makes me feel IRIE by not having to sit in an automobile for 45 minutes just to get to work or home. It’s a great stress reliever! One day, I hope to be known as the “Bicycling Pirate of Jacksonville” and a Knights of Mo’ Bay jersey would help build that reputation! I just started biking as a way to commute to and from school. While there are a few climbs the majority of my ride is a smooth sail. When I get to school there is a clarity in my mind and a cleanliness in my chest. I would say it’s irie. Now if I could just get some bike clothes, ha. Getting out for a ride every day when I can keeps me in good spirits and totally irie man. Always looking for a unique design riding jersey to give me something different from traditional jerseys. I feel irie coming home on the bike every night after work. I just stated riding everyday 8 weeks ago but this feeling is really so strong and pleasant that I even ride for my day off errands. I have no cycling jerseys yet, though i quickly bought padded shorts. thank you. Do people still use Irie? I thought it wasn’t used much any more. To me it’s always meant being in the moment where nothing else matters. I get that feeling on my bike on every ride. Would love to add one of these to my jersey collection. From Bob Marley ” Don’t Worry, Be Happy”. If I riding my bike to or from work, going on an errand or just riding enjoying the scenery, I am Irie! This is an easy one, Irie means total satisfaction with what you are doing. I could use a few new nice looking jerseys so please pick me as the winner for one of these. Irie means doing anything that fills me with happiness and that means cycling is one thing for sure. I would like to win a jersey because all of mine are starting to stink and I need some fresh ones. great looking jerseys. Anything beautiful is irie to me. I need to win because I only have three jerseys that fit me and I need more. That Thoreau sure did have a way with words, didn’t he. Thanks Malachi. Nothing clears my mind like a hard ride in the middle of no where. It doesn’t matter what has happened earlier, or what is coming up in the day. I love the feeling of getting into the paincave so that all that matters is me, my bike and the sensation of blood pumping through my legs. The old saying – Pain is weakness leaving the body – rings true when on the bike. There is just such a calming sensation in the pain. I would like one because I only have one short sleeve cycling jersey, and one long sleeve. 🙂 I need more riding attire! I’ve heard the word irie many times and to me it’s always meant relaxation. I would like one of these jerseys because I don’t have enough and really need some nice ones like this. I’d like one of the jerseys to add to my collection. I don’t currently have any that look anything like the ones from mo bay. The definition of irie to me is spending the day out on my bike seeing new things and meeting new people. I would like to have one of these jerseys because they all look so beautiful. Freedom and irie must mean the same thing, and both of those are found on my bicycle. I would like to win this jersey because I need a new one and would rather get one for free. Just being honest. The definition of irie to me is being on my bike. That is where I feel at peace and happy. I need this jersey so I can look cute while riding my bike. I always feel IRIE when on the bike. As I live car-free, to me IRIE also stands for I Ride It Everyday! Nice one, Mark. If we were picking winners by the best definition of the acronym you and Bethel would win for sure. Good luck, and thanks for checking out today’s post. The second I’m over my bike saddle, the IRIE curtain falls down around me and it’s harder to be very serious about anything. I think that’s because the bike is play, no matter whether I’m shredding the gnar or riding to the fabric store to pick up materials for new cycling caps. It’s fun and that’s unavoidable. I think if I was able to give this jersey to my man he would just about crap himself with joy. So pick me, eh eh! When I ride my bike it always makes me a little “ERIE” (Every Ride I Enjoy). Enough said. Good to know that you’re feeling Irie and Erie, Bethel. Thanks for entering. When I’m on my bike, riding second or third wheel in the pack, I love that sense of IRIE! 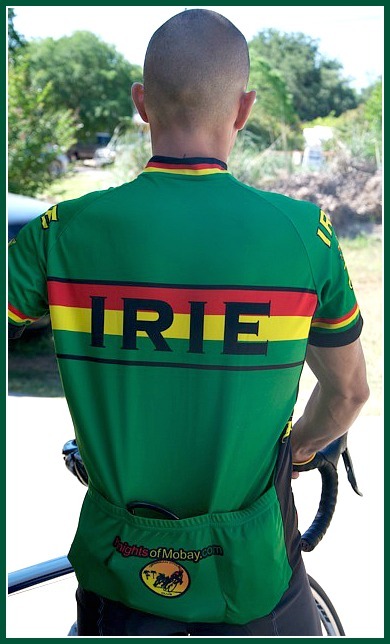 I’m sure I’d experience even more IRIE in this jersey! I almost exclusively use my bike for commuting, which may not strike people as very conducive to achieving a state of ‘total peace,’ but I find it to be an incredibly relaxing way to start and end my work day. Traveling through and around traffic which would potentially be driving me insane in my car is quite satisfying and getting my exercise at the same time is an awesome bonus. Random side note, my daughter’s name is Eire, which derives the spelling from Ireland but it’s pronounced irie. Very cool, Sean….that’s a great name. It’s also very cool that you’re a regular commuter that knows all about feeling Irie. it’s the feeling of being one with the road. you can feel the slightest pitch, the difference in road surfaces, and the smallest pebble. For me, the best part of cycling: getting lost in the ride, losing all sense of time and even forgetting about the bike itself — just being one with the path and experiencing whatever comes along. You call it the Zone; I’m content to just get lost. Irie, mon! I think I tweeted the perfect response to this yesterday. I love the bike because when I ride, I am not thinking about anything but riding. It doesn’t matter how rough my day has been, or week, or year… I hop on the bike and after a few minutes, I’m smiling… irie all the way. I’m a big fan of the rasta culture myself, though I don’t live it. The Marley family is regularly in my riding playlist. I would love to win the jersey, but mostly I just wanted to share 🙂 Keep riding brothers and sisters! Great color scheme, also check out the their web site – some great jerseys including one that pays tribute to the Tuskegee Airmen (I know Darryl – not the Caribbean theme but still pretty cool). What a great way to be in a state of Irie on Memorial Day weekend! Thanks for the post. Thanks Matt, glad you like them. Yeah, that Tuskegee Airmen is cool. I have just started cycling within the past couple of months. Due to a knee issue I can’t run anymore, so cycling makes me feel young again, Irie. Also, I do not own a cycling jersey yet, I would love for this to be my first. Good luck, Joe. It would be a great one to have as your first jersey. I walked around naked on an island, for Pete’s sake! Can’t be any more at peace with your state of being than that! I brought home a giant red/green/gold tassel as a souvenir of my best. week. 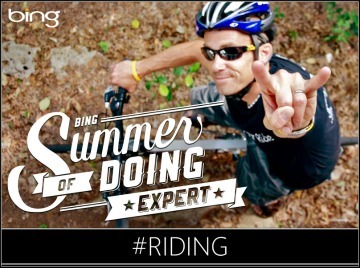 EVER!I’m new to cycling. All my gear is base model.And I’m slow. At least with a Knights of Mo’Bay jersey, I’ll LOOK good. :)Thank you! I do ultra endurance races because honestly they do make me feel “Irie” — sure, you’re spent and all your energy is eaten up – but sometimes you get to look to your left and right and enjoy some insane irie moments with nature. Hmmm, I was wondering what that smell was. Good luck. Congratulations….you were randomly selected as the winner in our Knights of Mo’Bay contest. 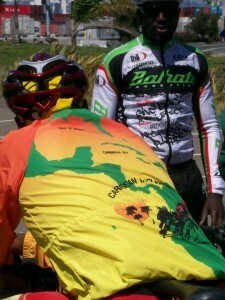 Send your jersey size and address to me at darryl@lovingthebike.com and we’ll get it out to you. sthig, I am Royston, chief jersey designer at Knightsofmobay. Email me @ sales@knightsofmobay.com, so that I can send package with tracking information. Okay, Ja, Got it… Well, my bike is mountain, at the moment, but I’ve been trying to get this guy to sell me his road bike so I can get my IRIE on. What would you say is the key to getting my Ja-Road-Bike Love on? Any who, if I had the jersey, I’d be 1/3 of the way towards having the outfit ready to go. Love the Ja and Ja the Love.